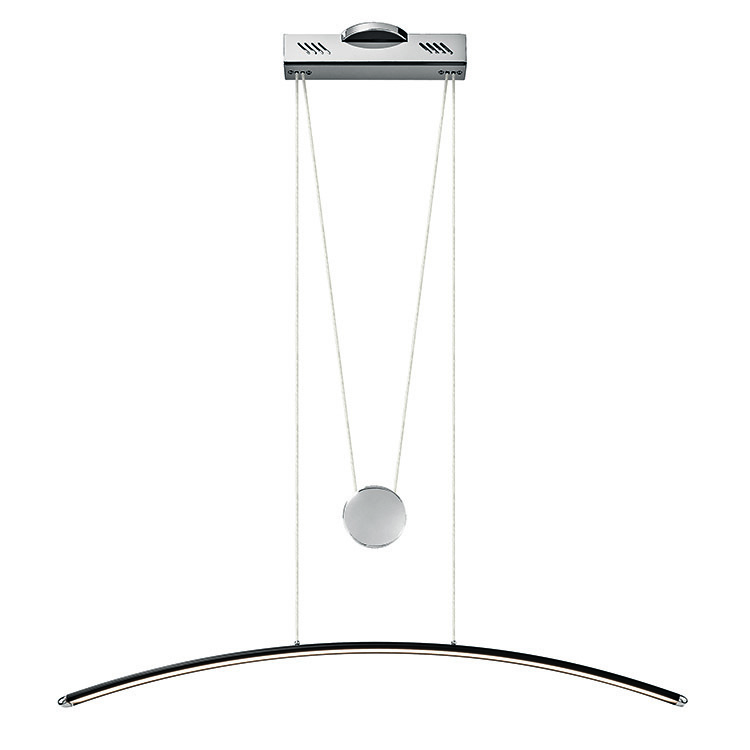 Sava is a sleek & modern light source for over your table, bar, conference table, or desk. Features an innovative pulley system to let you move the light source closer or further away as needed. Curved frame holds 19.8 watts of cool white LED illumination, providing 3800 Kelvins and 1042 lumens. Maximum drop is 102 3/4″ from its two cables; cut shorter in situ as needed. Intended for hard-wire installation into a standard American junction box, operated by a wall switch. Please use only an LED appropriate dimmer switch if desired. LaDiff recommends employing a qualified electrician for all fixture installations. Available in three finishes: black, white, or silver.